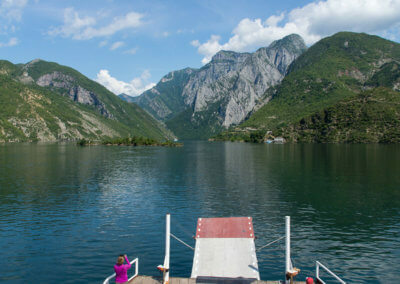 Backroad Vagrants » Overland Travel Guide » Sights and Places » Lake Koman Ferry in Albania – a stunning boat ride! 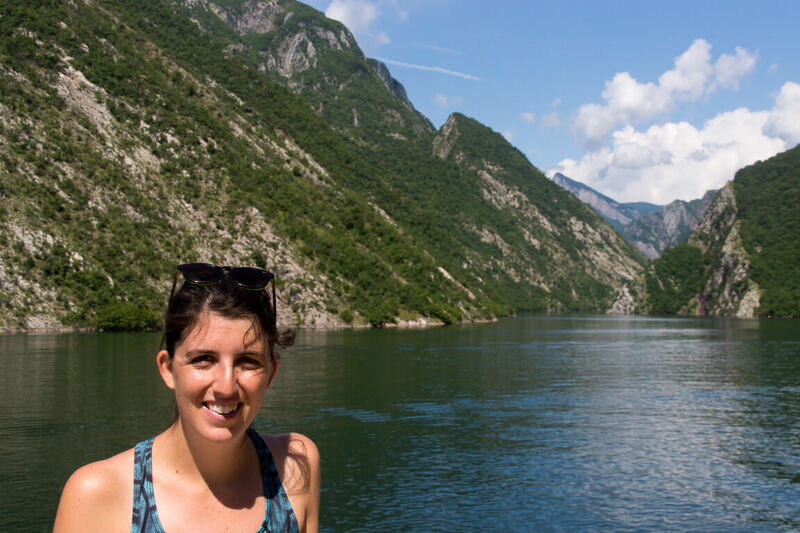 Lake Koman Ferry in Albania – a stunning boat ride! 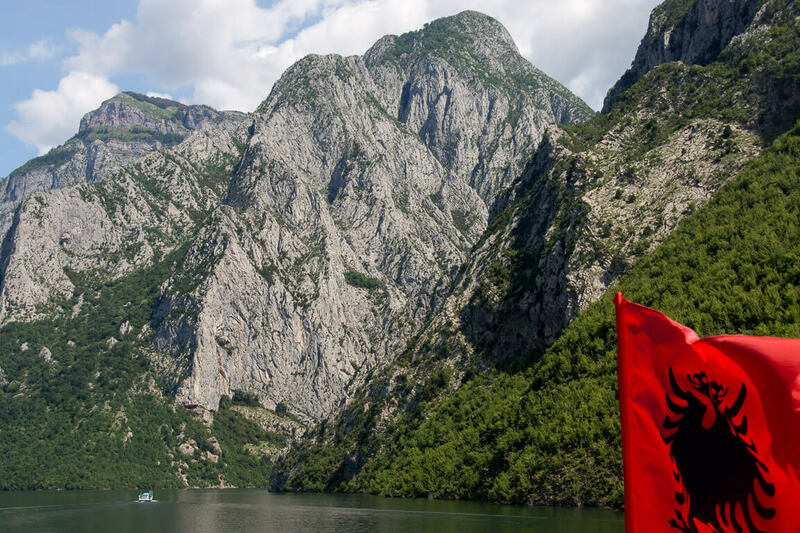 In the late 1960s, Albania’s communist regime began building several hydroelectric dams along the country’s biggest stream, the Drin River. 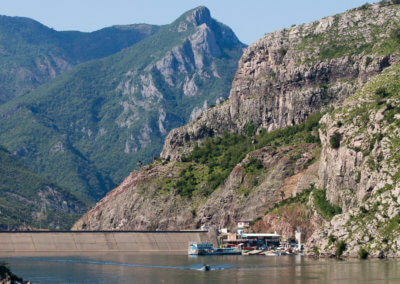 And even today, these three dams account for more than three quarters of Albania’s electrical power production. What came with the dams, were the reservoirs in between them. 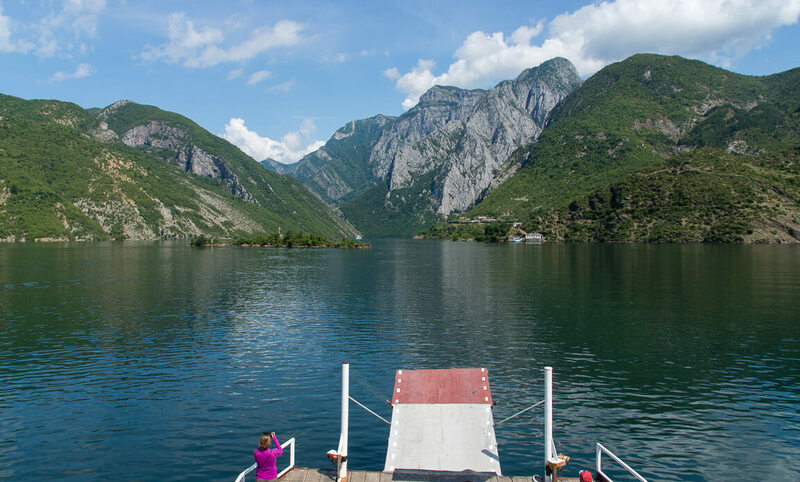 The Lake Koman Ferry, connecting the Koman and Fierze power stations, gives you the opportunity to enjoy the beautiful mountain scenery and is truly a one of a kind experience! 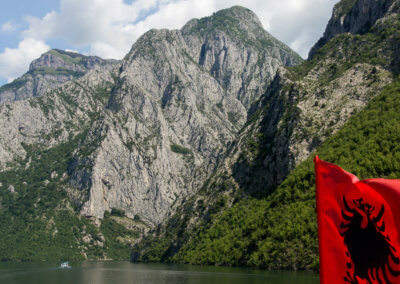 Or as Bradt Travel guides describes it “one of the world’s great boat trips”. Let us take you on this great ride! Watch our 1.5 minute time lapse video of the 3.5 hour trip to get an idea of the scenery that is waiting for you. 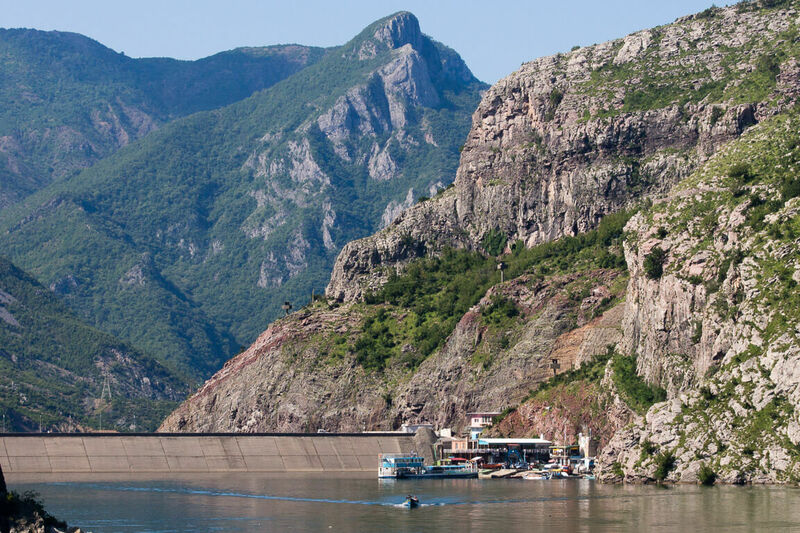 There are three large vessels and numerous small boats operating between Koman and Fierze. The small boats take passengers and baggage only and seem to follow the “leaving when full” schedule. 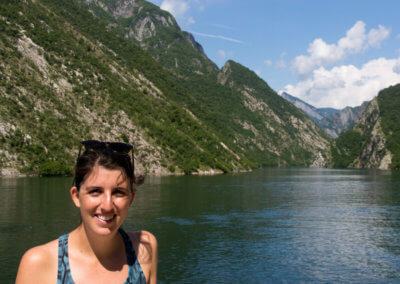 Note that in this case “baggage” may include cement bags or a herds of goats and the boat is likely to stop along the way to serve some locals. 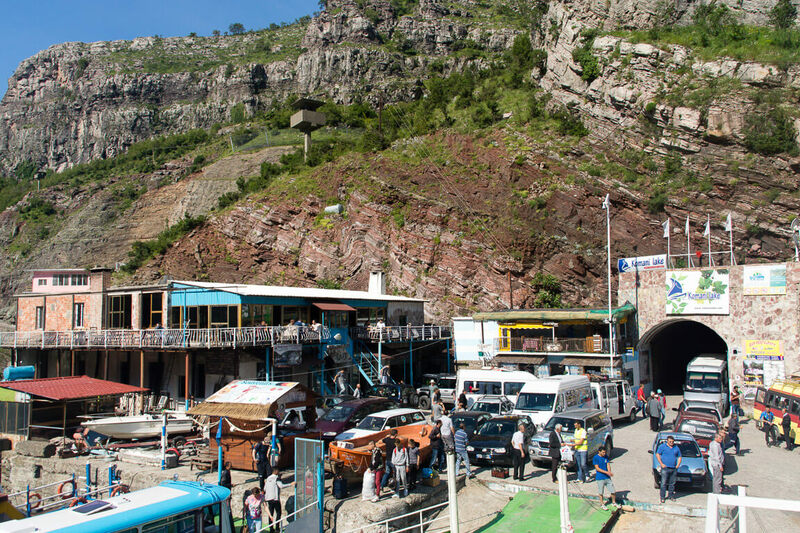 If you are traveling without a vehicle, we would recommend you to try to get aboard one of those boats. This is probably one of the experiences you are not going to forget. Regardless of the time of day, expect to be urged to have some beer or rakija, though. 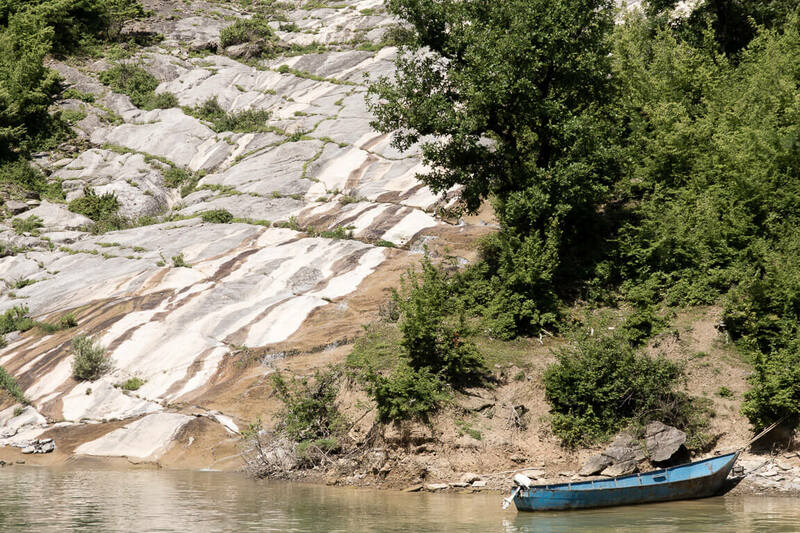 The three larger vessels, namely the Alpin, the Berisha and the Rozafa. The Alpin is by far the largest vessel and leaves Fierze for Koman at 9am each day. 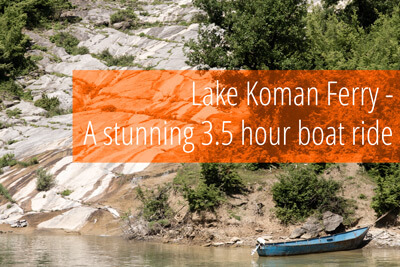 It arrives in Koman at 11am and starts its 2 hour return journey at 12pm. 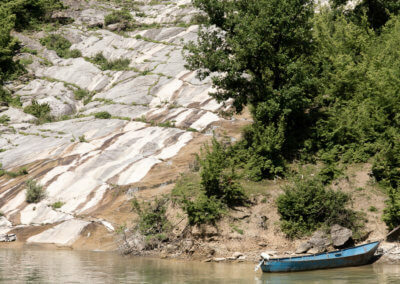 The Berisha and the Rozafa are of similar size and leave Koman at 9am and return from Fierze at 1pm. The boat ride takes about 3 and 3.5 hours, respectively. 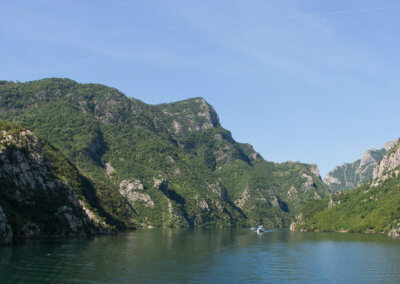 This is why we decided to travel on the Rozafa, it simply gives you the most time to enjoy the scenery. 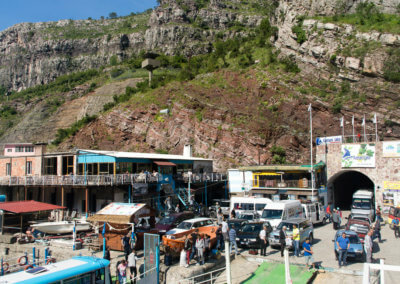 You can also camp in your expedition vehicle or caravan at the Koman ferry dock the night before you travel, free of charge. Not the most beautiful place to stay, but there are little options around Koman and you do not have to get up as early. There is a (pricey) restaurant/hotel with a toilet onsite. Please check the ferries’ websites before you go, as timetables may always change! Boarding at the Koman Ferry dock. A busy place! Leaving the Koman Ferry dock. You can see one of the smaller boats following us.